Barnett, M. (2010). Oh No! (Or How My Science Project Destroyed the World). 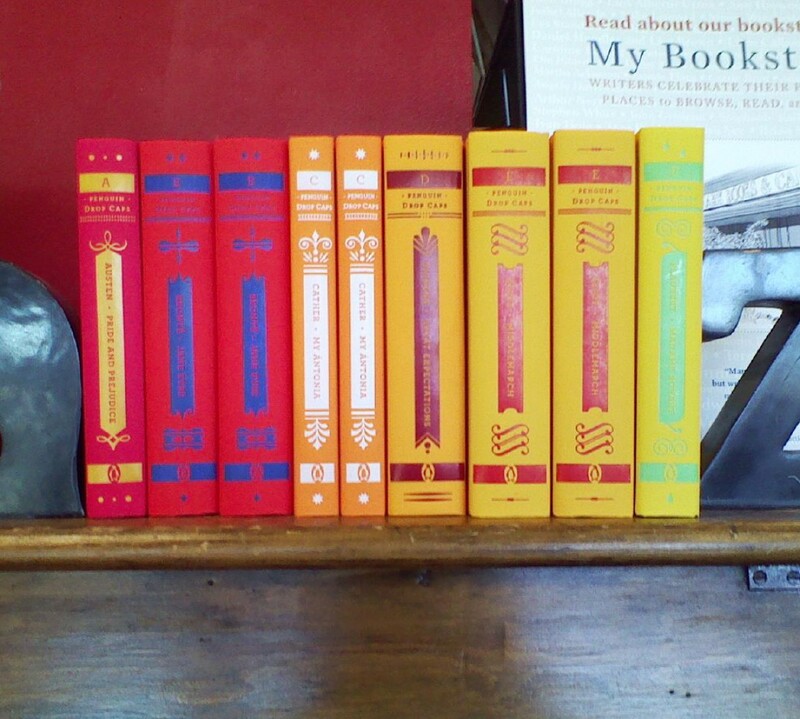 New York, NY: Hyperion Books. Genre: Picture book. Not exactly realistic, but not exactly speculative either. Good for all ages, though older kids will “get” the humor better, I think. Book Summary: A girl’s science project, a robot, escapes from the science fair and destroys the city because she forgot to program overrides on it. So, she creates a giant frog to defeat the robot, which (unfortunately) causes almost more problems than the robot. Impressions: In looking up readalikes, I noticed that a good number of books about robots feature boys, so three cheers for Santat for making the main character of this book a girl! (Barnett doesn’t specify a gender in the book, as it’s written in the first person.) I have long been a fan of Barnett’s humor, but I think it’s downplayed in this book. The narrator is exasperated and kind of practical : “I probably shouldn’t have done this” and “Looks like I’m going to have to fix this.” The humor in this book, the outlandishness, comes from Santat’s illustrations. Without them, the book holds no punch. I am not a fan of old monster movies, so I missed a lot of the details, but there’s still a lot to look at in each picture on every page. Perhaps, ultimately, the humor is in the over the top idea: that a kid could actually program a robot and then create a toad to stop the robot. It’s basically every kid’s dream, to be powerful enough to “conquer” the world, isn’t it? 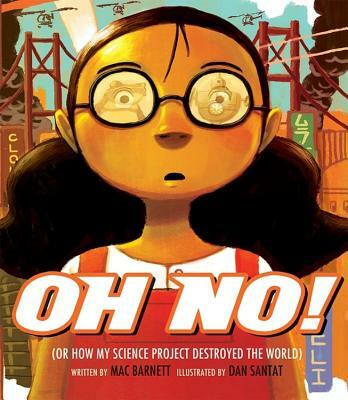 Review: Publisher’s Weekly gave Oh No! a starred review, calling it a seamless collaboration between Barnett’s simple text and Santat’s homage to old Japanese monster movies. The review pointed out details that I missed, like the blurring of the image and text when the robot stomps. It also went on to say that there was “wicked humor” and admonished kids not to try this at home, even though there are “blueprints” in the end papers. Staff. (2010). Book reviews. Publishers Weekly. 257 (19), 41-44. Retrieved from: https://www.publishersweekly.com/978-1-4231-2312-5. Library Uses: I would use this as a springboard for a STEM activity, discussing exactly how the girl would program the robot and then segue into simple coding with Scratch. Wild Robot by Peter Brown: Not a picture book, but a fantastic story of a robot who ends up on a deserted island and figures out how to survive and communicate with animals. It is a delightful story and makes for a great read-aloud. Robosauce by Adam Rubin: A boy who wants to create a robot ends up taking a special “sauce” that not only turns the main character into a robot, but (thanks to a wrap around extra cover tucked into the book) turns the whole book into a robot. Little Robot by Ben Hatke: An almost wordless younger graphic novel follows a lonely girl who finds a robot in a junkyard and fixes it up so she can have a friend. Another great robot book featuring a girl main character, who isn’t afraid to get dirty and be innovative.